On this day, in 1990, our Founding Father, Comrade Sam Shafiishuna Nujoma, concluded his inaugural speech with the following remark, “I move in the name of the people, to declare that Namibia is forever free, sovereign and independent.” With these words, Comrade Nujoma paved the way for Namibia to begin its journey of Independence, which has resulted in over two decades of peace. On this day in 2006, our second President, Comrade Hifikepunye Lukas Pohamba stood before us and declared, ”a new dawn has set on our beautiful country. Once again, we stand at the delicate moment when the nation pauses, takes a look at itself and recharges its energy and renews itself for the greater challenges that lie ahead. From this day onwards, our country will continue to coast towards the future as a united, democratic and prosperous nation.” With these words, Comrade Pohamba cemented the pathof stability. On this day in 2015, your third President in the form of yours truly said, “The nature of expectations is that the more they are met, the higher the level that is demanded. And rightly so. The overwhelming mandate given to the SWAPO Government and its Presidential candidate is a clear indication of the confidence my fellow citizens have in SWAPO and in me. It is also an indication of high expectations. After 25 years, people want food, clothing and shelter. They want jobs, better housing and good nutrition. They want a leader who will bring prosperity to the nation and they want that leader to act quickly.” With these words, Namibia began marching towards the eradication of poverty to the beat of No Namibian Should Feel Left out. No matter which year or which President, 21 March is indeed the Day that the Lord has made and let us rejoice in it. I would like to extend a warm welcome to my brother, and our Guest of Honour, His Excellency Ibrahim Boubacar Keïta, President of the Republic of Mali, Madam Aminata Maiga Keïta, First Lady of Mali and the entire delegation from the Republic of Mali. We are honoured to welcome our friends, who have travelled a long distance to join us in the spirit of Pan African Solidarity, as we celebrate our Independence Day. Let me also welcome several other special guests and friends from Africa and further afield who have graced this occasion with their presence. I acknowledge the presence of His Excellency Rupiah Bwezani Banda, former President of the Republic of Zambia; and His Excellency Salim Ahmed Salim, Former Prime Minister of the United Republic of Tanzania and Secretary General of the Organization of African Unity and Honourable Akinwunmi Ambode, the Governor of Lagos State, Nigeria. We are grateful to all of you, for having decided to be with us, at this joyous occasion. As a nation, we pride ourselves on the principles of Democracy, Unity, Peace and Stability and the Rule of Law that we enjoy. These principles form a part of a foundation characterized by a sound and robust Governance Architecture, which is globally recognized and lauded. Pan African Icon Kwame Nkurumah once said, “ we are going to demonstrate to the world, to the other nations, that we are prepared to lay our foundation- our own African personality.” Through gaining Independence, and establishing the legacy of three leaders, who I refer to as the trinity, Namibia has demonstrated to the world, that we are prepared to lay our foundation- our own, Namibian and African Personality. There are some- and they are a small minority- that would like to suggest that no progress was made since independence and that government spending priorities are misplaced. During my state of the Nation address, I will dedicate adequate time in order to provide my rebuttal to this wrongly placed notion. Let me however, highlight two or three facts that prove that pre independence Namibia and post independence Namibia are miles apart. Firstly, with regards to the economy, it is noteworthy that in 1990, our GDP stood at a mere N$5.5 billion. 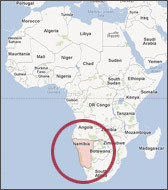 Per capita GDP was only Two Thousand, Four Hundred and Twenty Five Namibia Dollars in 1990. At present our GDP has increased to N$166 billion, an increase of 30 fold. At the same time, per capita GDP had increased to N$63,000 by 2014. In 1990 our manufacturing sector was worth only N$290 million; it has increased to N$15 billion. That is not all, the total budget tabled in 1990 was N$2 billion and the capital or development budget only N$254 million. In this current fiscal year, the capital budget alone is worth N$9 billion, and we will spend N$1.2 billion on students funding through the Namibia Students Financial Assistance Fund. The education and health sectors continue to receive the bulk of state resources. This clearly demonstrates our commitment and prioritization of developing a Namibia where all Namibians may prosper. Namibia’s economy has continued to grow at an average of 5% in recent years, despite the global commodities downturn which has severely affected resource based countries. Our macro-economic architecture is sound and characterized by decades of growth and stability. It is pertinent that we focus our attention on the gaps within our socio-economic architecture and the disparity in income inequality. After 26 years, it is time to focus on the objective of prosperity for all. It gives me pride to stand before you today, a day which also marks my first year as President. 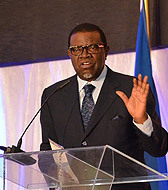 Our shared aspirations are communicated through slogans which most Namibians have embraced such as “No Namibian Should Feel Left Out,” “War on Poverty,” “One Namibia, One Nation and of course “Harambee”. This was done with the knowledge that it was only through embracing our sense of national identity and unity that we can tackle the huge task of eradicating poverty. Our lofty poverty eradication ambitions were ridiculed until the United Nations Sustainable Goals also set a target to eradicate and not just reduce poverty by 2030. Let us dream big and work tirelessly to implement our aspirations. Pulling in the same direction is critical in making headway to this goal and resisting centrifugal forces which seek to pull us apart. Henry Ford encapsulated the essence of team work by saying, “Coming together is the beginning, staying together is progress and working together is success.” Under “One Namibia, One Nation”, we come together under the concept of “No Namibian Should Feel Left out”. We are neither blind nor deaf. We listen, we think and then we act. This is why we declared 2016 as the Year of Implementation. The war on poverty runs concurrently with the war on corruption and their respective root causes. I am commited to the policy of transparency and in this regard, I want to inform all domestic and international investors that the Presidency will always welcome courtesy visits but the tendency to seek appointment for the discussion of business plans and tenders is not welcome. No meetings will be entertained in this regard and my advice is that those requiring guidance seek the counsel of Line Ministers or technocrats. This is to encourage the process of a multi-layered decision-making process which encourages transparency and discourages favouritism, secrecy and name-dropping. The Public Procurement Act will ensure transparency and effectiveness in the public procurement system. The WhistleBlowers Protection Bill seeks to protect those who wish to provide truthful and traceable evidence of corruption without suffering victimization. We need to move away from innuendo and rumour mongering and move towards providing evidence. Corruption is about ethics and those who are uninvolved, but aware of corrupt activities yet remain silent. Those who falsely accuse others of corruption and those who succumb to the solicitation of bribes are part of the problem. The Harambee Prosperity Plan is built on the pillars of Effective Governance, Economic, Social and Infrastructure Development and seeks to build on the progress that we have made to date. The Plan presents the first practical steps over the next four year on how to deliver on our prosperity promise. I look forward to unpacking the details of this plan during my State of the National Address in two weeks time. Excellencies, comrades and fellow Namibians, After 26 years, Namibia’s democracy has reached a level of maturity which allows us to reflect on our past achievements, identify challenges and together, plan for the future. Due to our unity as a people, we stand on the solid foundation that will support our shared aspirations. As I come to my conclusion, I urge all Namibians to cherish the House we have built over these past 26 years, the House earmarked for all Namibian men and women, girls and boys. Let us celebrate our unity without uniformity. Let us celebrate our diversity without division. Let us disagree, without being disagreeable. There is an African proverb which says that “A family tie is like a tree, it can bend but it cannot break.” On this 26th day of independence, let us reaffirm our ties as the Namibian family, living in the Namibian House. We are united and although we might bend, we will never be broken. 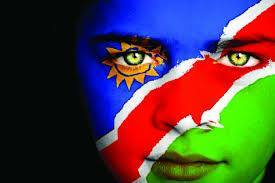 Happy Birthday Namibia! One Namibia, One Nation! Long live the Spirit of Harambee! Long live the Namibian House! Long Live the Republic of Mali!